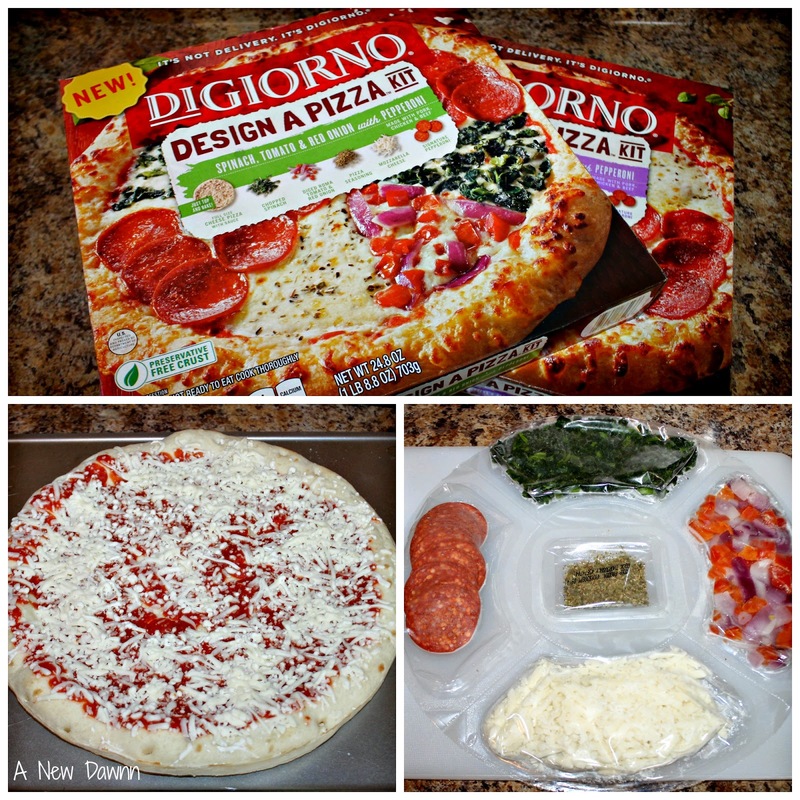 DIGIORNO® Design-A-Pizza Kits Make Family Time Fun! Disclosure: I am a member of Collective Bias® Social Fabric® Community. This shop has been compensated as part of a social shopper amplification for Collective Bias and its advertiser. Friday nights at our house is our designated pizza night. It’s our kickoff to the weekend and typically by Friday I’m ready for a break from cooking. The problem with our weekly pizza night is my husband is starting to get tired of our local pizza place so I need to spice things up! 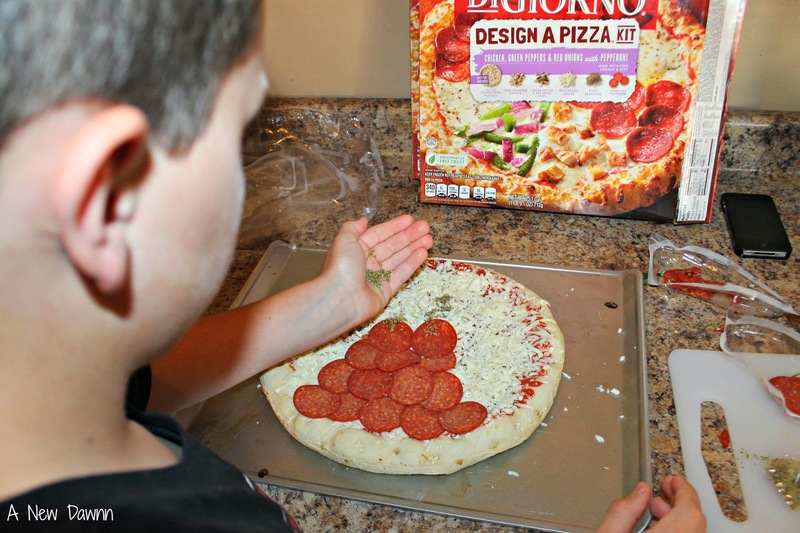 That’s when I found Digiorno Design-A-Pizza kits. These fun new pizza kits come in 3 delicious flavor combinations, Pepperoni & Sausage with Peppers; Chicken, Green Peppers and Red Onion and Spinach, Tomato and Red Onion with Pepproni. The fun part is in the design! The toppings come in their own little pouch that let you customize your pizza and toppings the way YOU like. You can be as simple as you like or you can really get creative like we did. I picked up the Design-A-Pizza kits while shopping at my local Walmart for our family movie night. It was such a fun way to start the weekend. My son had a blast coming up with ideas on how he wanted to create his pizza. Every time he opened the freezer and saw the pizza kits, he begged to make them then and there. I held out until the weekend and it gave him more time to think of ideas for his pizza creations. 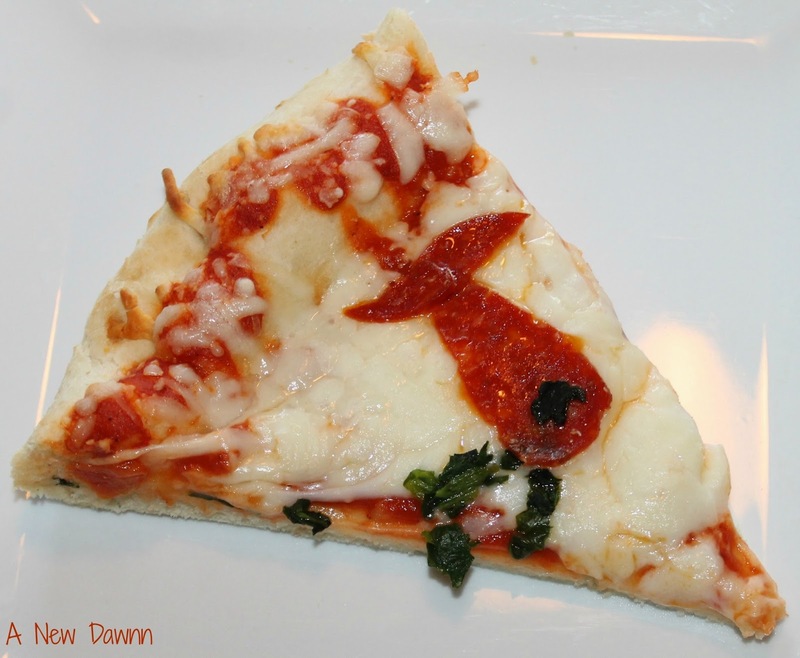 I’m sure at some point in your kid’s lives they’ve been told “don’t play with your food”, well these pizza kits encourage creativity and playing with your food. I loved seeing his idea come to life on his pizza. I helped him cut some of pieces into the designs he wanted but the ideas for these pizzas were all his. 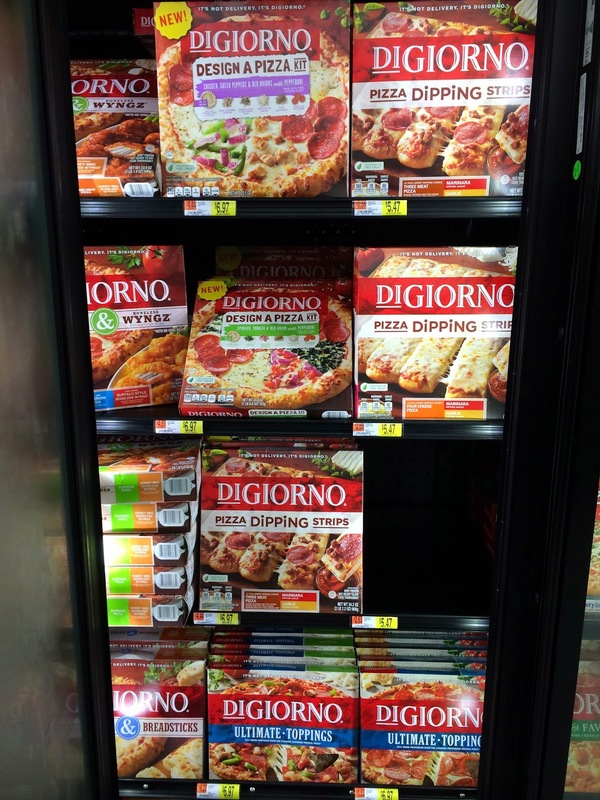 After seeing what a fun night we had with our Digiorno Design-A-Pizza kits, I made sure to pick up more to keep them stocked in my fridge. These are perfect for a fun sleepover or playdate. 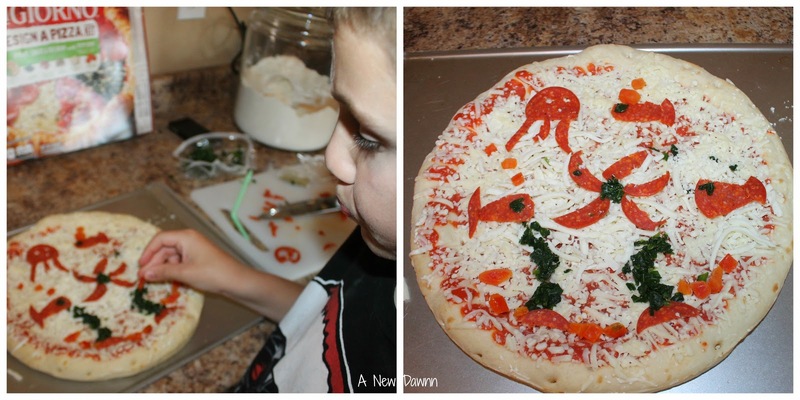 I can let the kids create their own pizza masterpieces and have a ton of fun while doing it. For less than the price of one pizza from my local pizza place, I was able to purchase 2 pizza kits and I can’t put a price on the fun he had making them or the creativity he expressed. His designs included an under-the-sea theme and a volcano because the toppings were “exploding with flavor” . You could really smell the freshness of the peppers, onions and pepperoni in the kits and that’s where his motivation came from. Another bonus for me was the fact he tried something NEW. I have the hardest time getting him to try new foods, especially vegetables. 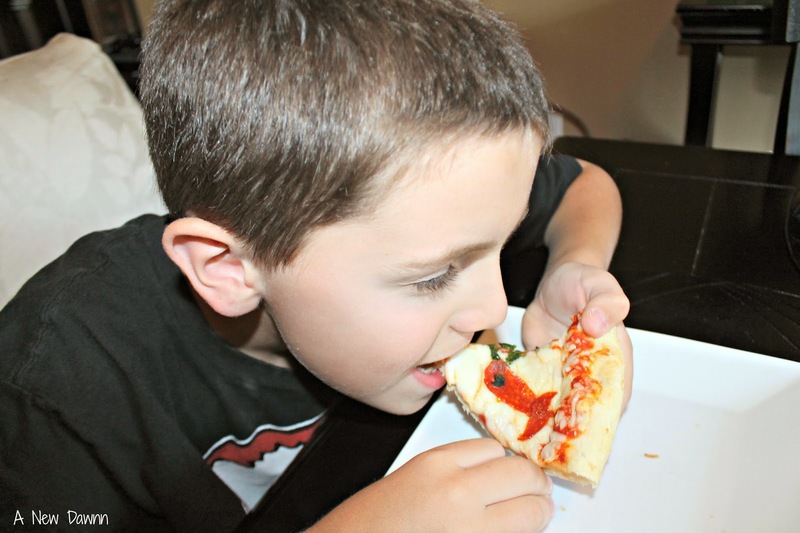 With these pizza kits, he actually ate the spinach and the peppers he put on his pizza! I couldn’t ask for more than that. 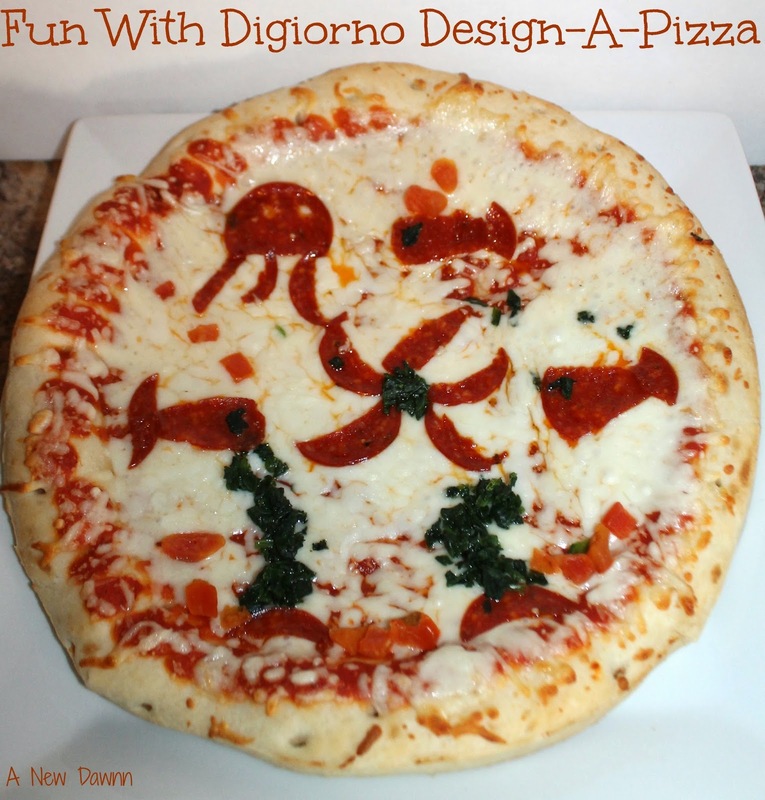 What will you create with the Digiorno Design-A-Pizza kits? Sure beats the Chef-Boy-R-Dee pizza kits we used to buy. Thanks for sharing! This is a great idea! Thinking out of the box, the pizza box, that is! 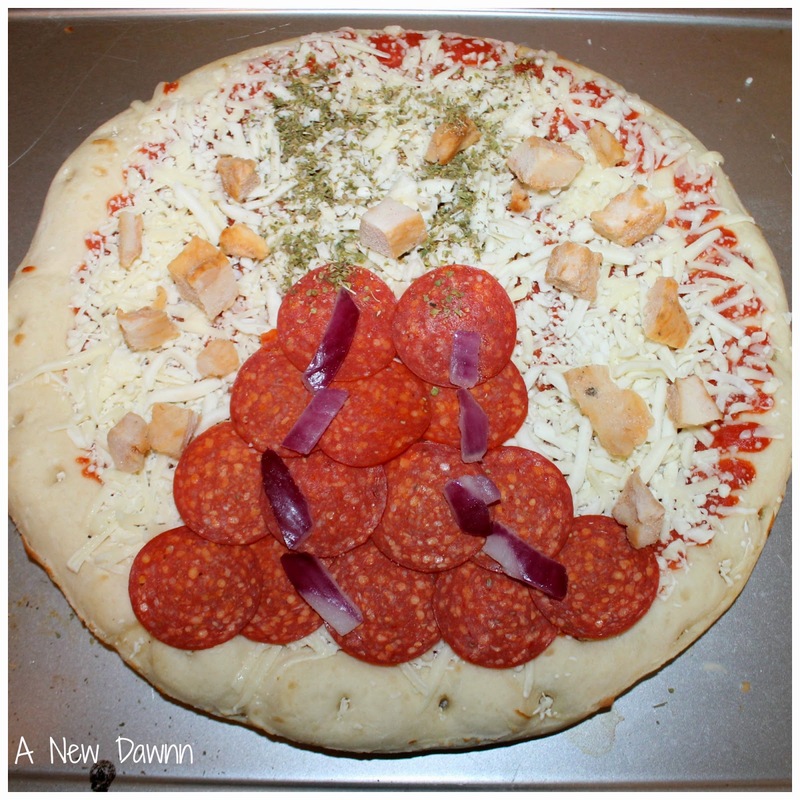 Having a family tradition like a weekly pizza night is wonderful, but it is good to change it up a bit and no better way than designing your own pizza – wow! It really is! We had a blast creating it! Thanks Rose-Marie! It's definitely a favorite of ours now!